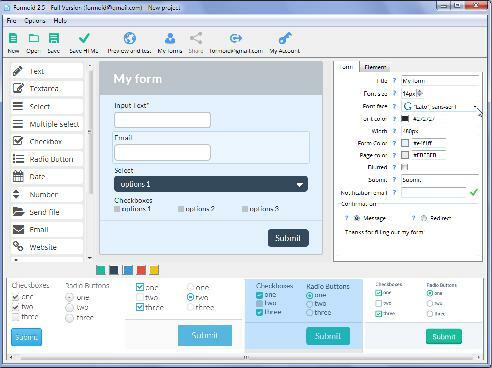 Formoid is a free desktop app that helps you easily create email form, html5 contact form, html5 form validation, css form and more in a few seconds without writing a single line of code. Create fresh online forms in just a few clicks. Hi First, my english is not the best and so i make a pdf for the points i mean. Nice tool, i like it!